In Rokitnianska District State Archive (modern name - archive department Rokitnianska District Administration) are deposited documents since 1944. All documents are stored in Rokitnianska District State Archives during the occupation of the area were destroyed by the Germans (act, drawn from different institutions of the damage inflicted Rokitnianska District State Archives during the Nazi occupation of December 11, 1944). In July 1941, was suspended activity Rokitnianska District State Archives. Rokitnyansky area was occupied by July 25, 1941 and released January 31, 1944. District State Archive resumed in February 1944 after the liberation of the area from the Nazis. In January 1959 the district archive was subordinated to the Ministry of Internal Affairs, in the region - Chief of police. Since 1960, the District State Archive subordinate executive committee Rokitnianska District Council and archival of Kiev Executive Committee. 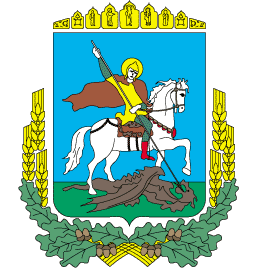 Tarashcha Kyiv region, of which stayed until December 8, 1966. Rokitnyansky regional state archives in the years its activities are not conducted. Since 1989, the District State Archive obeys Executive Rokitnianska District Council and the State Archive of Kiev region. In 1992, the formation Rokitnianska District Administration, District State Archive comes under the state administration and changing its name to the archive Department of State Administration. 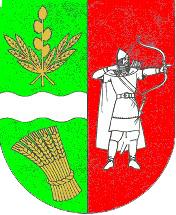 Since 1993 the district has archive archival department executive committee Rokitnianska District Council. Since 1995, the archive department comes under Rokitnianska district state administration accountable and controllable head state administration and the State Archive of Kiev Oblast. May 31, 2007 under the orders of the President of Ukraine from 02.09.2000 № 273/2000-rp, Article 29 of the Law of Ukraine "On the National Archives Fund and Archival Institutions," district council in its decision created a municipal institution Rokitnianska District Council "Labor archive Rokitnianska district." In 2008 the archive of State Administration and Labor Archives allocated part of the premises in the building department of education, which is located at st. Factory, 2, t. Rokitnoe. In the archival department Rokitnianska District Administration stored documents, which belong to the National Archives Fund (Naf). As of June 1, 2012 archival department has 67 funds, 17 176 cases, including 47 cases of personnel. - Administrative - territorial division of Kyiv Region 1918 - 2010's, 2012. When archival department district administration has an advisory body - an expert panel. Order head Rokitnianska District Administration of 29 June 2011 № 446 approved the Regulations on Expert Commission of archival Rokitnianska District Administration and appointed its new warehouse. In the postwar period was the head of the archive Vasiliy Kravchenko Lytvyn, who worked until 1963. After successive changes in the territorial division in December 1966 Rokitnyansky area was separated from Tarashcha and newly launched regional state archive. Head of Archives was appointed Sachenko John Ignatievich who worked in 1968. From 1969 to September 1987 worked as head of the archive Moskalyk Andrei. On October 1, 1987 order of 18.09.1987 № 12 headed a archive was appointed Kapustyan Nina . District Administration and appointed its new warehouse. On October 1, 1987 order of 18.09.1987 № 12 headed a archive was appointed Kapustyan Nina.